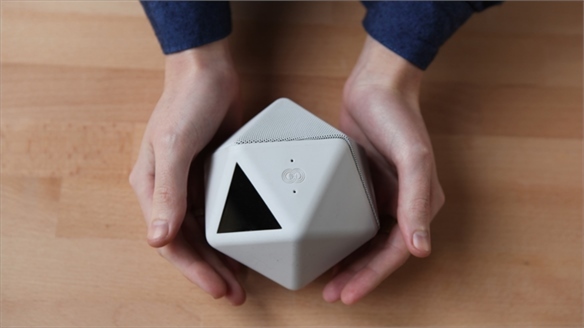 San Francisco-based start-up Aether has launched its first product – a speaker that learns to predict the music the user will want to listen to. 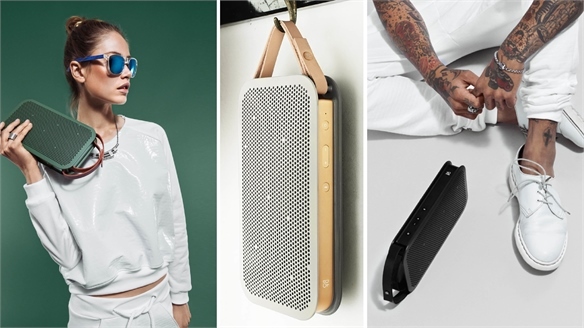 The wi-fi-connected speaker can play any music a user already owns, as well as stream radio, podcasts and music services, creating an all-round personalised experience. A simple and intuitive interface gives a huge amount of control without the need for a paired device; a slight twist of the speaker grill changes or repeats the track, while twisting it further changes the type of music played completely. Voice control can also be used to select specific artists, tracks or genres. Using data gathered from the user’s listening history, when switched on, the device will make a prediction based on previous choices. For instance, if a user asks to listen to the same podcast every Monday morning, it will automatically select that podcast every Monday morning, or learn to play relaxing music if that is what is normally chosen on a weekday evening. The speaker’s minimal cone shape leans on its side, adding a sense of informality suited to the wireless, portable design. 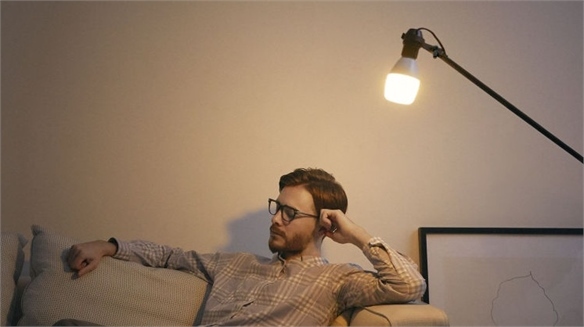 An eight-hour battery life allows it to be used anywhere within the home. 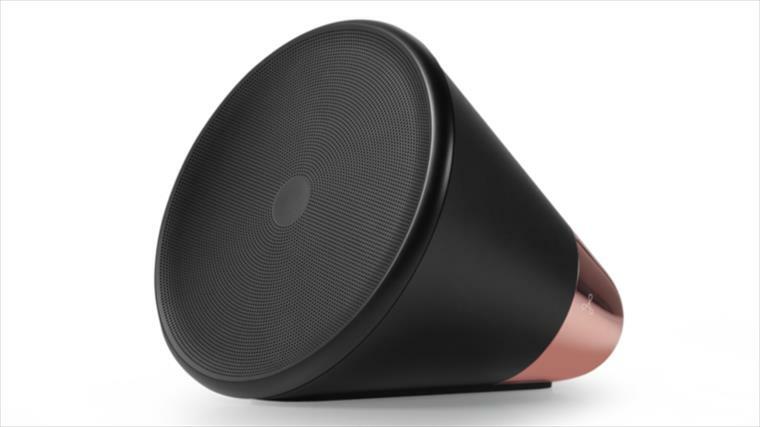 Due to launch this summer, the $399 speaker will initially be available in contemporary black and copper or white and silver finishes. 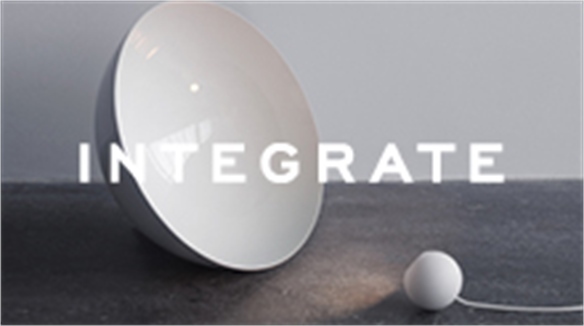 Seamless forms with minimal buttons and detailing are becoming popular in consumer electronics as designers look to create intuitive designs – see more examples in Design Democracy: Integrate. 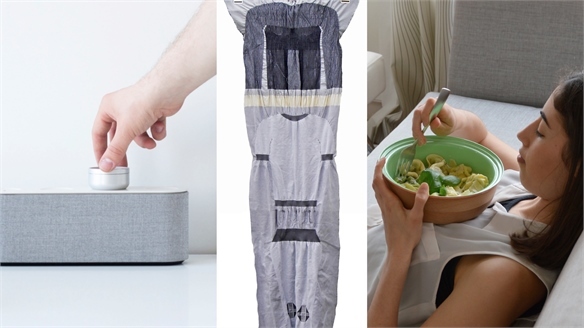 For other examples of products using data to personalise user experience, see Elastic Tech and our blogposts about a phone that can sense a user’s mood and a grocery app that can predict food-shopping needs. Audio Systems Reconsidered Audio Systems Reconsidered Home sound systems are moving away from conventional stereo sets and seamlessly blending into interiors. 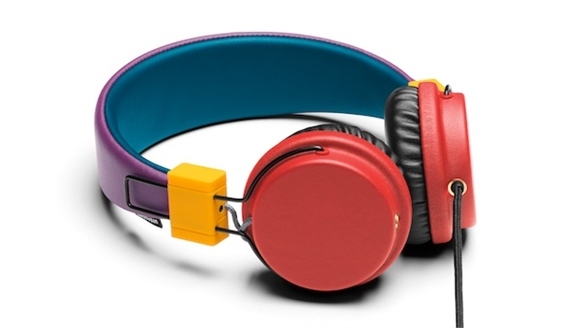 Meanwhile, material innovation and customisable user interfaces offer new audio experiences. 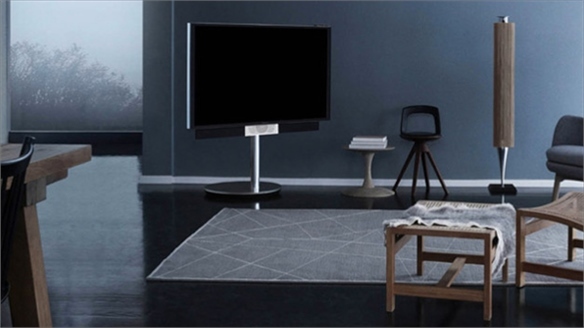 Sony Life Space UX: Blending Light and Sound Sony Life Space UX Life Space UX – Sony's collection of holistic home entertainment products – includes two new wireless speakers that aim to transform living space through harmonised light and sound. Show RCA 2016: Highlights Show RCA 2016: Highlights From readdressing manufacturing processes and modern dining behaviours, to simplifying our interaction with tech, graduates at this year’s Show RCA at London’s Royal College of Art upheld its reputation as the leading institution for design innovation. IQbuds: Selective Hearing IQbuds: Selective Hearing Australia's Curtin University and Perth/San Francisco-based audio wearables company Nuheara have created bluetooth-enabled earbuds that allow users to choose which sounds pass through them. 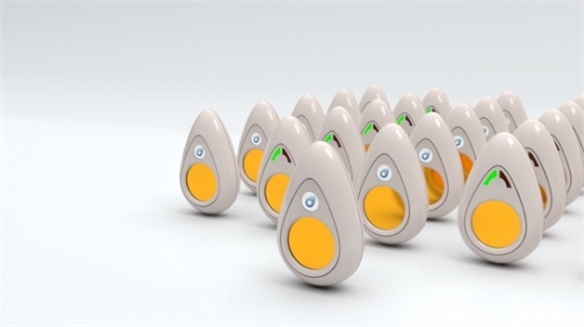 CES 2016: Personal Electronics CES 2016: Personal Electronics Health tech received a major boost at this year's event, as manufacturers unveiled a slew of snackable wellness solutions and advanced trackers that keep the whole body under surveillance. Predictive Tech Predictive Tech The newest technologies can predict what people will do next and cater to their needs without being asked. What does this mean for brands? Music Linked to Mindsets Music Linked to Mindsets Researchers from the University of Cambridge in the UK have discovered a link between individuals' taste in music and how they think. 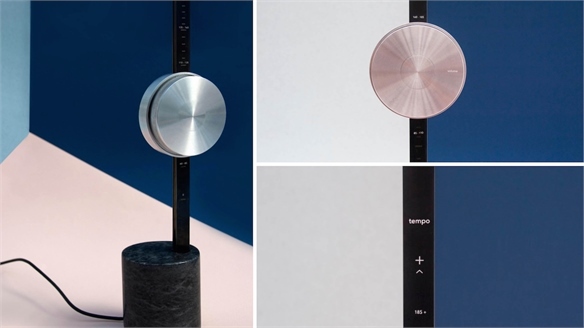 Show RCA 2015: Alternative Audios by Gemma Roper Show RCA 2015: Alternative Audios Royal College of Art graduate Gemma Roper has designed an internet-enabled radio that allows you to select music according to tempo or beats per minute (BPM). 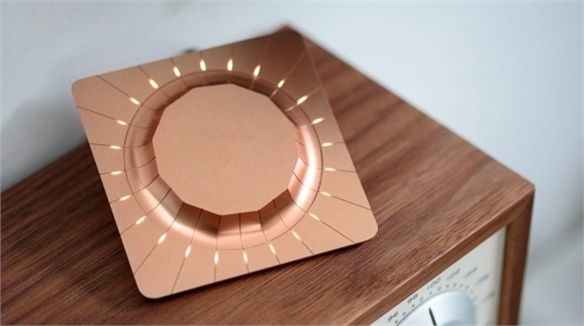 Beep: Cloud-Based Music Player Beep: Cloud-Based Music Player San Francisco-based studio NewDealDesign's web-connected device Beep works with a user's existing speakers to create a seamless music-streaming network throughout the home. 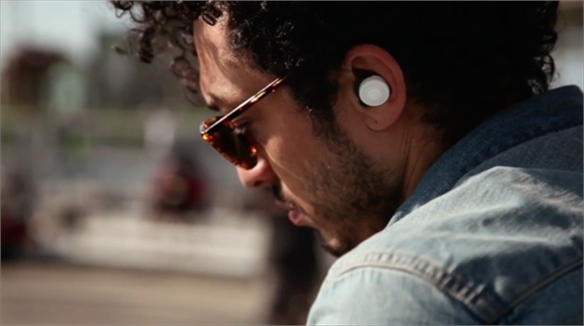 Human+ Hearing Human+ Hearing San Francisco-based tech start-up Doppler Labs is launching a set of wireless earbuds that let the wearer personalise how they hear the world. 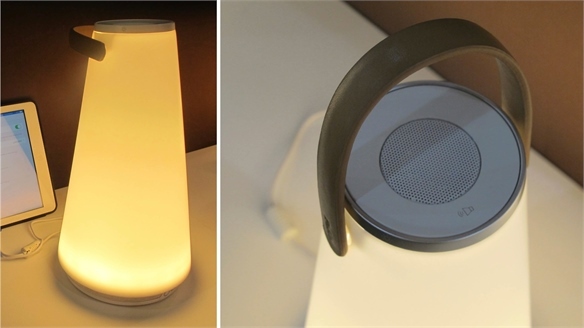 ICFF 2015: Portable Speaker + Light by Pablo Designs ICFF 2015: Portable Speaker + Light Last week at New York furniture show ICFF, San Francisco-based Pablo Designs unveiled the UMA Sound Lantern – a portable light and speaker that enables flexible usage inside and outside the home. Aivvy Q: Learning Headphones Aivvy Q: Learning Headphones Currently seeking funding on Kickstarter, the Aivvy Q headphones offer an intuitive listening experience by learning from a user's listening preferences and choosing music accordingly – negating the hassle for busy consumers to download new music and curate their own playlists. 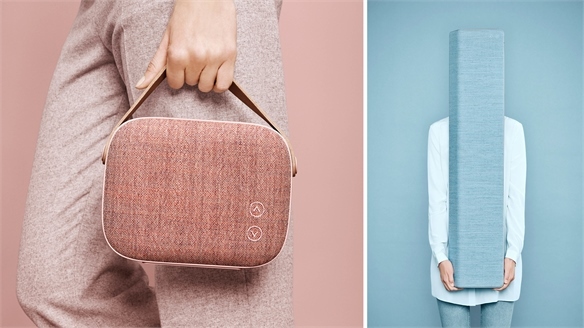 Stockholm Design Week 2015: Vifa Speakers Launch Stockholm 15: Vifa Speakers Launch Danish audio brand Vifa launched two new wireless speakers during Stockholm Design Week (February 2-8), adding a portable design and a larger loudspeaker to its range. 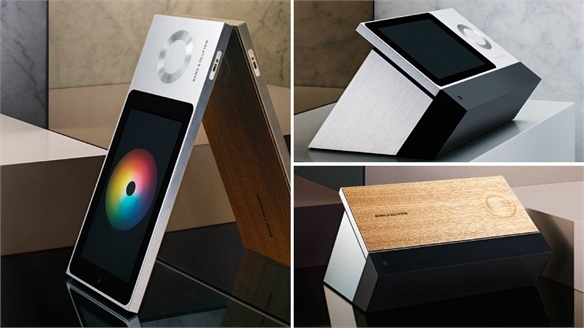 International CES 2015: BeoSound Moment	CES 2015: BeoSound Moment Launched by Danish brand Bang & Olufsen at the International Consumer Electronics Show (January 6-9), the BeoSound Moment is a control system that connects speakers throughout the home, playing music from the user's library or cloud-based services. 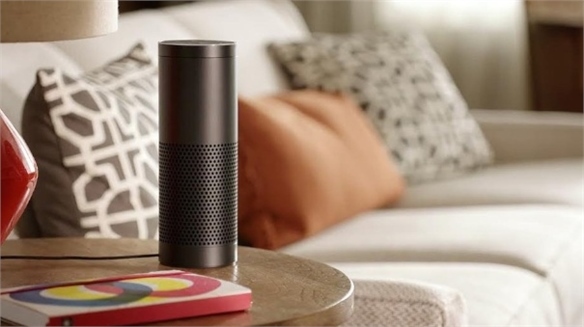 Amazon’s Voice-Controlled Speaker Amazon’s Voice-Controlled Speaker E-commerce giant Amazon surprised the tech world last week by announcing a new voice-controlled smart speaker. The 20cm-tall cylindrical device, called Echo, can search the internet, play music and perform simple tasks such as compiling shopping lists on command. 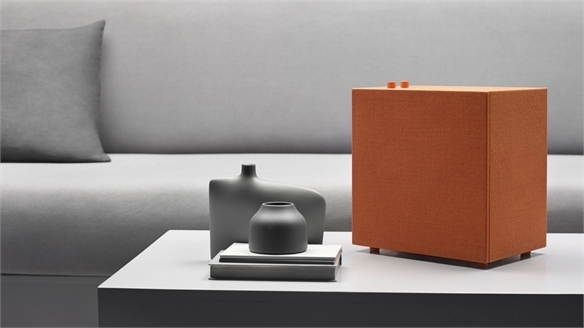 Bang & Olufsen’s First Bluetooth Speaker B&O’s First Bluetooth speaker Danish audio company Bang & Olufsen has launched its first Bluetooth speaker through its B&O Play sub-brand, a range with a more accessible price point aimed at a younger market. 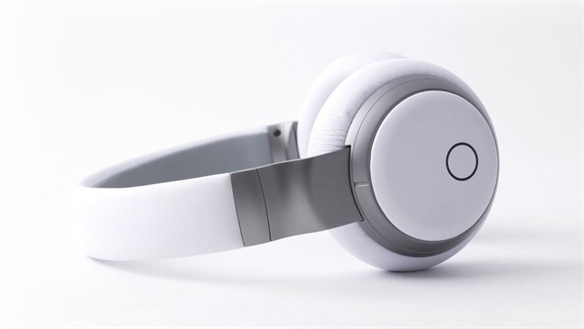 Wearhaus: Music-Sharing Wireless Headphones Music-Sharing Wireless Headphones The first release from US-based tech start-up Wearhaus, Arc wireless headphones can sync with other pairs, allowing people to share music with each other for social listening while still maintaining personal privacy. 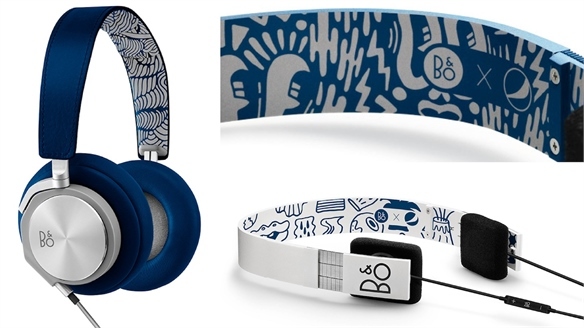 Pepsi x B&O Headphones Pepsi x B&O Headphones Danish consumer electronics brand Bang & Olufsen has produced a limited-edition range of its headphones for global drinks giant Pepsi’s Live for Now capsule collection. 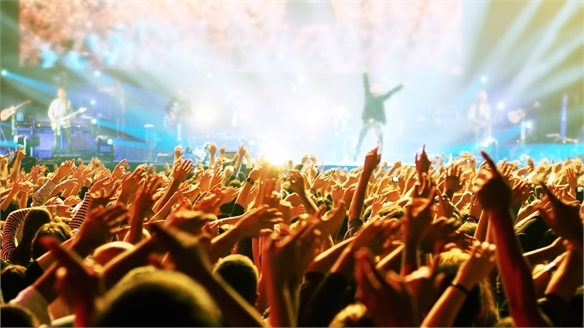 Power of Sound: Audio Innovations Power of Sound: Audio Innovations As the way we listen to music evolves, moving from CDs to cloud-based services, the design of audio technology is changing too. A new approach to the look of consumer electronics is seeing wireless speakers become commonplace, and data analysis allowing for predictive playlists. Modern Family: B&O’s Adjustable TV Modern Family: B&O’s Adjustable TV The latest release from Danish electronics company Bang & Olufsen is a television that rotates, slides or extends to pre-programmed positions, ensuring the best viewpoint regardless of where someone is sitting within the room – shifting to face the sofa or dining table accordingly, for example. Milan 2014: MIT at Lexus Design Amazing MIT at Lexus Design Amazing Created by Tangible Media Group, an arm of the Massachusetts Institute of Technology in the US, Transform is a piece of dynamic furniture. 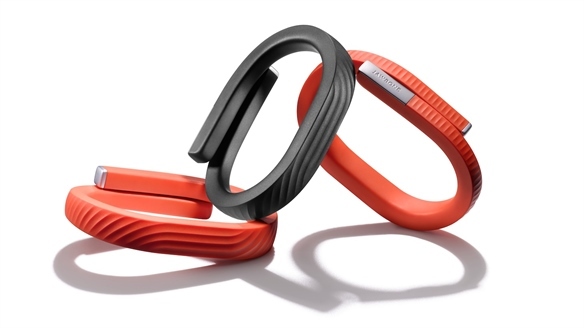 Jawbone Up24: Real-Time Experiences Jawbone Up24: Real-Time Experiences Up24, from US-based tech company Jawbone, is the latest version of hardware for the Up lifestyle-tracking system, now available in 30 countries across the globe. Paddle: A Transformable Device Paddle: A Transformable Device Paddle is a transformable phone concept created by a group of researchers from Belgium’s Hasselt University. 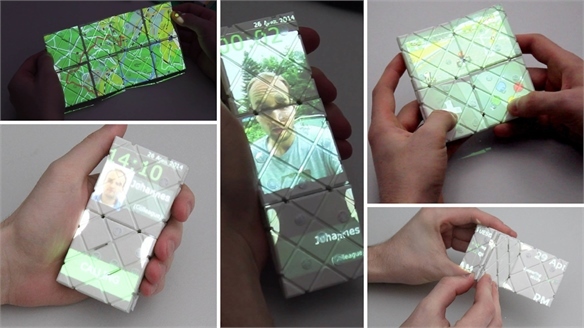 Based on the design of a shape-shifting puzzle, the design combines intuitive physical movements with the multipurpose functionality of a touchscreen. 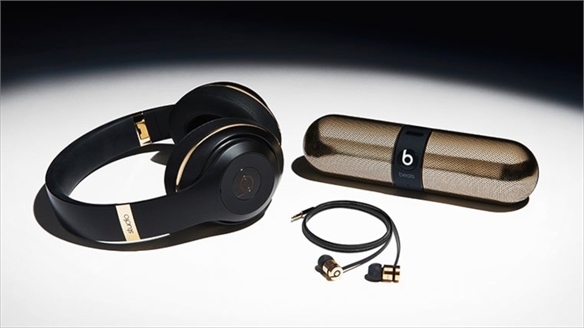 Headphones: New-Look Sounds Headphones: New-Look Sounds Still the accessories of the moment, audio brands are continuing to reinvent their models through elegant styling, thoughtful additions and technological improvements. Re:Plattan: Headphones Made from Waste Re:Plattan: Headphones from Waste The latest addition to Swedish brand UrbanEars’ headphone range, Re:Plattan are made from recycled components taken from the brand’s existing Plattan headphones. Integrate Integrate For all its dominance in the modern world, technology can be curiously alienating to the average consumer. But technology should not be a stranger. Use it to integrate and work with your lifestyle – right here, right now. In our new world, we don’t need to be chained to our desks; domestic and work spaces can be reconfigured. Technology is the great enabler. Explore the potential of mood-enhancing spaces and products, using LED lighting to transformative effect. And make it a mission to beautify tech, reworking it in ways that are subtle and aesthetically pleasing, as well as functional. 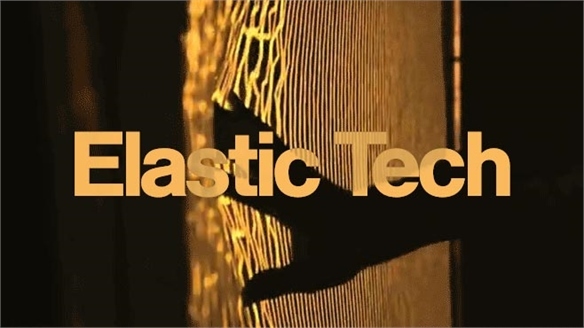 Elastic Tech Elastic Tech Consumers demand bounce. 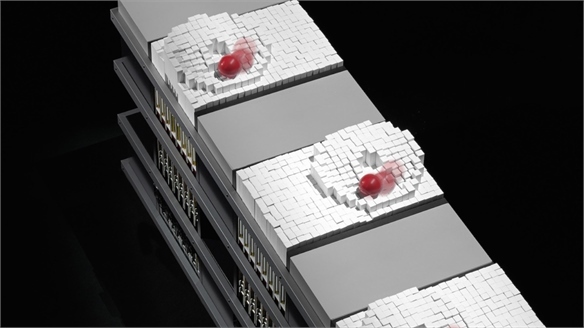 We identify strategies to guide product development from 2014 and beyond, harnessing flexible displays, fluid interfaces and shape-shifting surfaces. 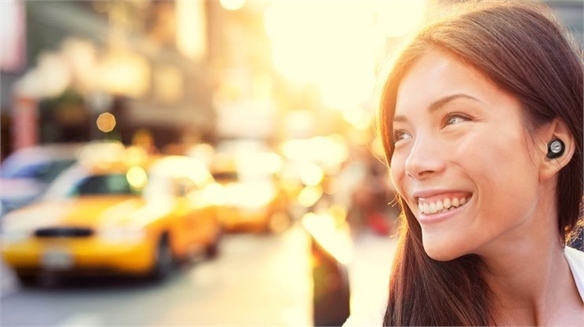 Mood Phone Mood Phone Microsoft Research, the research arm of the US tech giant, has developed new smartphone technology that can sense a user’s mood. 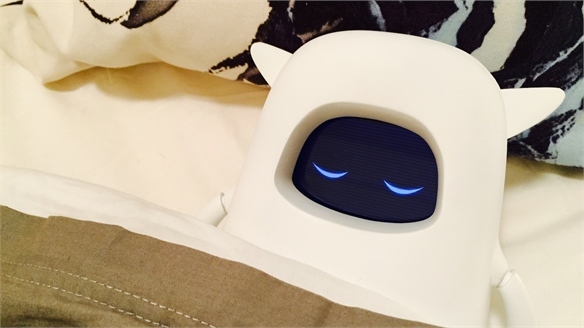 The new software package could pave the way for a new generation of intuitive mobile devices and mood-aware applications. 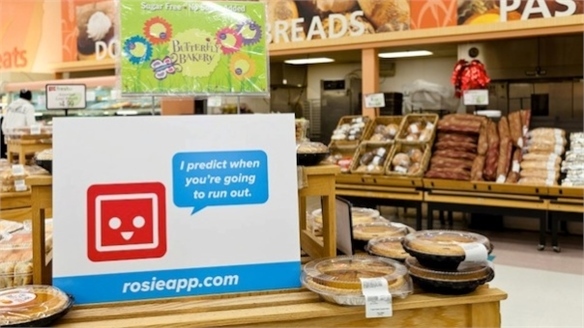 Grocery App Predicts Food Shopping Needs, NY Predictive Grocery App Running out of milk may become a thing of the past thanks to a new web and mobile shopping platform that taps into users’ purchasing routines to deliver items when they need them. 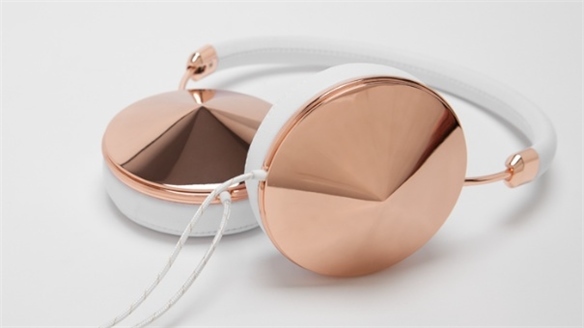 Jewellery-Inspired Headphones by Frends Headphones by Frends The latest collection from Californian headphones manufacturer Frends is inspired by jewellery, bringing a refined and stylish approach to audio technology. 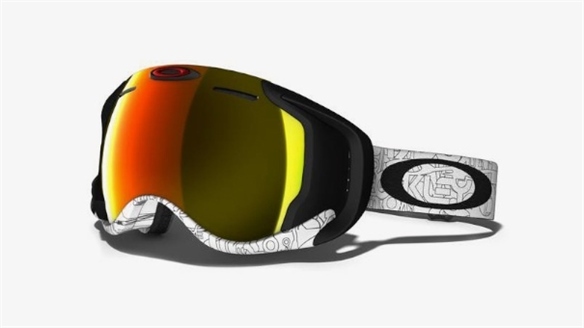 Oakley Airwave Goggles with HUD and GPS Oakley Airwave Goggles Californian sports brand Oakley has created a pair of snowsports goggles with built-in heads-up display (HUD), GPS navigation system and Bluetooth, called Airwave.